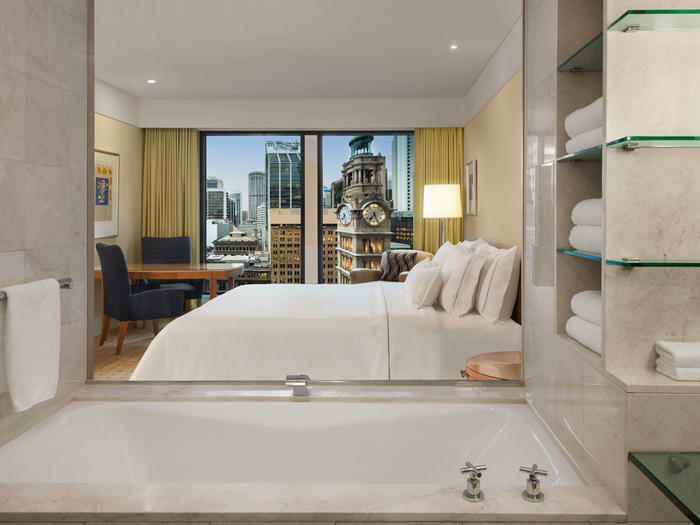 The spacious Executive and Deluxe Suites at The Fullerton Hotel Sydney are an excellent choice for those planning a long stay in the city, as they offer a separate living area, a master bedroom with a walk-in wardrobe and a large en-suite bathroom. Additional amenities in these luxury suites include a guest powder room. Floor-to-ceiling windows on both sides of the master bedroom infuse the area with natural light, providing a bright start to your morning in Sydney. 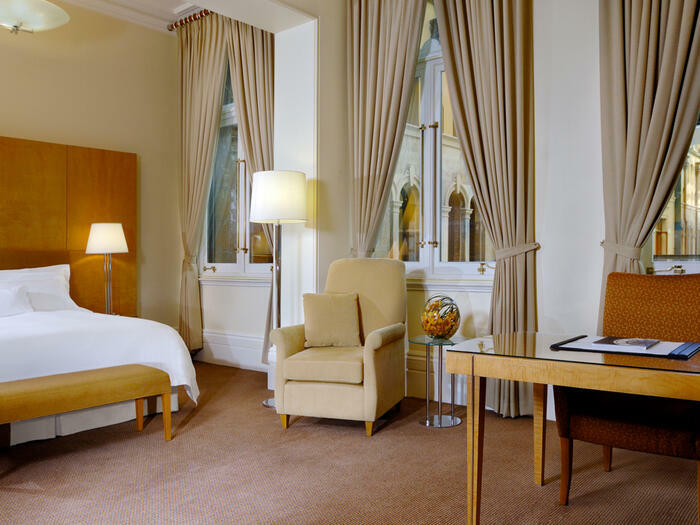 These hotel suites can be reserved with an interconnecting king bedded room to create a two-bedroom suite. 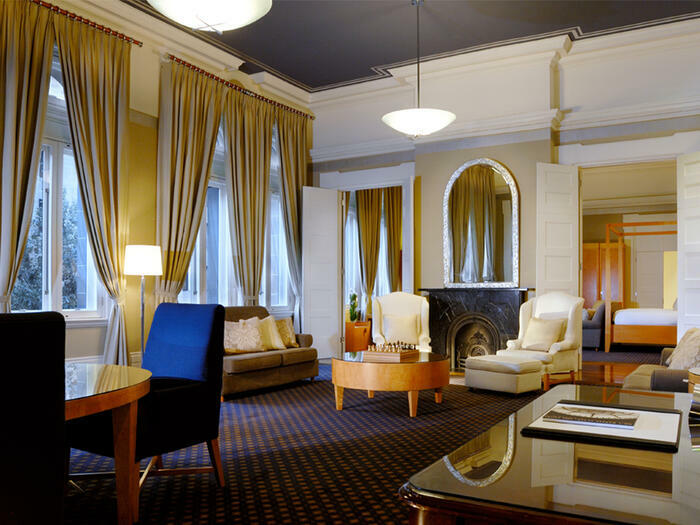 Guests in our Executive and Deluxe Suites enjoy complimentary access to the exclusive Executive Lounge. 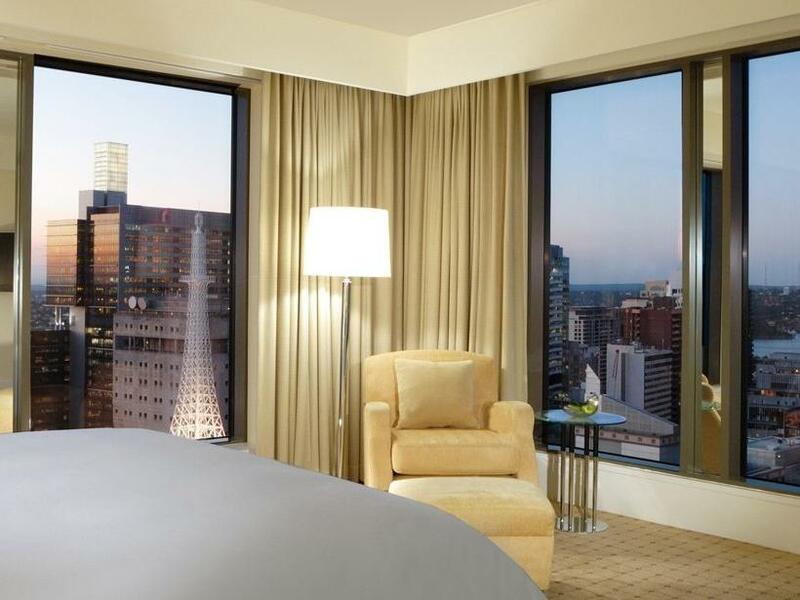 Our Executive Suites are located on the higher levels of the hotel, and offer sweeping views of the city.